Want Affordable and Friendly Garage Door Specialists in Provo/Orem? We install doors on checking out the place and the vehicle, and then we give a free quote to the clients. Only if they confirm to the rates, we shall proceed. Since we work using all the top models, our technicians also know the compatible accessories and fittings that shall go with these. They would bring them in the kit itself. Our A+ rating from BBB for our installation work speaks volumes about us. We, from Central Utah Door Co., offer to repair both residential and commercial garage doors. Our fame as a reputed and prompt company for garage door repair has also become the reason that we are still in great demand. Are you stuck out in the rain since the beam in the overhead door has blocked the sensor? Do not worry about the time, just give us a call, and we shall be there in no time for emergency garage door service! We specialize in repairing and in case, the doorway has become old or the panels or springs, and openers are not functioning due to wear and tear, just call us. We offer garage door replacement at affordable rates. We also offer DIY kits with complete fittings and manuals for those who wish to do the replacement on their own. We replace springs, Remote controls, openers, cables, and overhead garage door replacement parts to name a few. As a proficient local garage door company, we shall keep our promise of fixing your doors in a jiffy! When we talk about garage door and its installation, repair and replacement, the name that often comes to our mind is Central Utah Door Co. in Orem. A local garage door company providing door service and parts boasts of wide experience and greater customer service and satisfaction. It is the best garage door company serving the customers in the best possible manner. We can say that they have the best of the products and services – be it installation, repair and replacement at affordable prices. For local, commercial, residential or new garage door installation, feel free to call Central Utah Door Co. in Orem at (801)-373-8103. Garage door services provided includes installation, repair, replacement and much more. Garage door repair is the best service available in the market. We attend to the customer problems and try to resolve the queries as fast as we can. You just need to call us at the given number for all kinds of garage and overhead door repair. Our garage door repair costs are marginal and do not pinch your pocket at all. Overhead garage door troubleshooting is done by us along with online availability of the spare parts. You would love to call us for overhead garage door repair, garage door spring replacement, overhead door opener troubleshooting and much more. Our customers are the lifeline and we are very much there for them and feel proud to serve them and provide the best of the services. We are just a phone call away. We provide the best garage door repair and installation services to the customers taking our services. When it comes to garage door sales and installation, we are often preferred and chosen by the customers to fulfill their overhead garage door repair needs. The company is the best in the market and much talked about. We provide quality garage door opener parts and are famous for automatic garage door opener troubleshooting. We are a garage door company near you providing overhead garage door parts and fulfilling all your needs. We rate the best in customer satisfaction and have testimonials in our kitty with happy customers being served on a regular basis. Customers come up with a request for the replacement of the parts. The garage door replacement becomes quintessential with time and must be carried out along with door service and repair. The garage door replacement parts are replaced and door opener repair service is provided to the customer from our end. We are specialized in garage door replacement and take up the services in Darien, repair garage door transmitters and take up overhead door repair. In fact, we are just a phone call away and will reach you in no time and serve you with the best of the services in the area. You can very well rely on us for your garage needs. Sick and Tired of Your Garage Door Breaking? Garage door repair in Provo/Orem area, by Central Utah Door Co., is one of the most selective repair types you will have to employ if your garage door becomes damaged. Once your garage door breaks, you are sent into a state of panic because the garage door is a source of security, accessibility, and comfort within the home. You don’t want your garage door to malfunction and neither do we. Our contractors use only the most popular brands of garage doors and garage door parts; popular for their durability and style. While other garage door service companies only supply one vendor, we supply a handful to suit your overarching needs. Your local Provo/Orem area garage door repairmen also know design. From modern doors for residential garage doors to commercial metal doors, we provide the most extensive garage door inventory in the market. Our current customers boast of our professionalism, affordable prices and panache. We are available right away for emergencies. Call us now for an estimate, 801-373-8103! With over a decade of experience, Garage Door Mart adheres to its philosophy of safety and transparency. This means we always run a 25-point inspection equipped with necessary diagnostics, along with simple, straightforward pricing that won’t have you guessing how your budget will be affected. Our garage door repair technicians are trained and certified to uphold our philosophies. We also work hand-in-hand with quality, branded vendors to ensure we lock down the best warranties with the best overall aesthetics you desire. The overhead door does not come all the way down. This could be due to a track or photo eye out of alignment. When your transmitters are misfiring, your garage door may open and close for really no reason at all. Your garage door may not detect objects in its way and this situation can result in injury to you or your property. If your garage door does not ascend back up its track, your torsion springs will need to be repaired or replaced. Sometimes, your garage door opener will be in good use, but the door still will not move. This can be a problem caused by the garage door’s motor or even a safety lock that has been engaged accidentally. If you are in need of a new door because someone ran into it or you want to increase the property value of your home, consider shopping with us! Garage Door Mart Inc. uses the Door Design Center or Door Imagination System that allows you to be the master of your own design. Provo/Orem area residents are thrilled to hire us for all their garage door needs and you invite you to be too! Heavy rains in the spring, snow and hail in the winter, beating sunshine in the summer and strong winds in the fall, garage doors are taking a weather beating all year round. Over time, the color on your garage door may fade, the panels may become warped, or the weather seals may be letting unwanted critters in. If this is happening to you, it may be time for a complete garage door replacement. Getting a new garage door is an easy process when you partner with Central Utah Door Company. We can help you select the right door for your home – one that will match its style, create a focal point, be efficient and last well into the future. Swapping the old garage door with a new one will give your home a fresh feel and add value to your residence or business. There are many options when it comes to garage doors, so talk with one of our salesmen about the best garage door material (steel, vinyl, wood, etc. ), and style for your home. **For those who only need to replace a section or two, we also offer panel replacements. According to Remodeling Magazine’s 2015 Cost vs. Value survey, a garage door replacement delivers an average 88.4 percent ROI for homeowners, which makes mid-range garage door replacement one of the best values for homeowners. 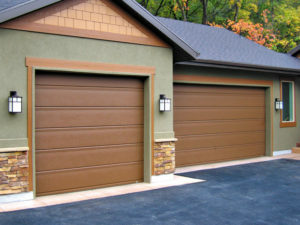 Upgrading your garage door can offer many benefits. Insulated garage doors, for example, can cut down your heating/cooling expenses. Also, replacing a dirty-looking old beaten-up door with a newer, fresher looking one can increase the value of your home and its curb appeal. Whether you are selling your home, or just simply looking for an upgrade, talk to one of our sales representatives today about replacing your garage door! Schedule Your Sales Appointment Today! Upgrade your old garage door or replace a noisy, outdated garage door opener to improve the style and performance of your home. We carry an extensive line of dependable and affordable products, and will gladly come meet with you at your home to show you all we have to offer. By developing a relationship with your local experts, you can rest assured that an experienced and trustworthy company will have your back 24/7. Call us today to schedule your garage door sales appointment. Looking for weather seal replacement for your garage door? 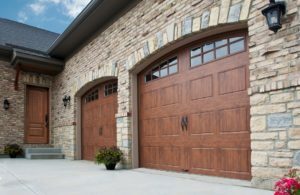 Although most garage doors are built tough to withstand continuous use and years of inclement weather, certain parts are more susceptible to wear and damage than others. Weather stripping is one of those parts. These vinyl rubber seals do a lot for your garage. Their primary function is to keep the cold weather, rain and snow out, but they also do a nice job of preventing many insects and other pests from making your garage their home. The weather stripping on your garage is tough, but after being exposed to multiple seasons of blazing heat and freezing temperatures (depending on your location), in addition to the pressure that’s applied each time the garage door closes, they can start to show signs of wear. When you noticed a damaged piece of weather strip, it is important to get it replaced. If you’ve noticed that your garage is feeling especially cold in the winter, or that it’s starting to take on precipitation when it rains and snows, there’s a good chance a part of your weather stripping needs to be replaced. Also, if the bottom rubber is cracked, falling apart or full of holes it should definitely be replaced. If this is the case, call our team of professional garage technicians, and we’ll send someone to your home or business to do a thorough inspection. We’ll find the damaged pieces of weather stripping and replace them with fresh new products. The next time you notice weather stripping in your garage that needs to be replaced, trust the industry’s best, Central Utah Door Company. We’ll take care of the problem quickly, efficiently, and with pride. Call and schedule service today! Need to replace or repair your garage door opener remotes? When you garage door isn’t working properly, it can be a really frustrating experience. If you’re a homeowner, perhaps your vehicle is trapped within the garage, behind a door that refuses to open. And if you are a business owner, a malfunctioning door can be a lot more than an inconvenience, it can mean a loss in sales and productivity. Garage doors can malfunction for number of reasons, including a broken garage door control. Controls include push buttons, key switches, remotes, keyless entries, induction loop systems, treadles and more. If you have a broken garage door remote, one of several things can be the cause. Have you checked the batteries? This can be a quick fix! For more complex problems, contact your local garage door professional troubleshooting of your remote system. Get your door operating again with a quick phone call! Our team of dedicated and professional garage door specialists will come to your home or business to examine your garage door and remote to determine the issue. Is your garage door itself having problems? Or do you have a broken garage door remote? Either way, we’ll get to the bottom of the issue and fast. Our technicians are familiar with all makes and models and have a strong working knowledge of what solutions are most effective in most any situation. Serviced brands include Raynor, Overhead Door, Genie, Wayne Dalton, Lift Master, Chamberlain, and many more. The next time you encounter a broken garage door opener, check the battery! If it still is giving you problems, contact your local Central Utah Door Company professional. Our knowledgeable garage door specialists will thoroughly examine the problem, assess the cause, and recommend a course of action to fix it. Looking for garage door parts? Contact your local expert and the industry leader in garage door repairs, Central Utah Door We stock locally all of the necessary parts to repair your garage door and have it operating again quickly and efficiently. Your garage door is an important part to any home or business. It is made up of an impressive selection of components and parts all of which have to work together effectively in order for the door to function properly as a whole and offer you the most convenience. or anything else garage door related, we can provide you with the repair parts needed to fix the problem. Our team of garage door specialists has years of experience and expertise working with all makes and models. The next time you face an issue with your garage door, call Central Utah Door. Our highly experienced team of technicians will assess the issue and provide you with the best solution and highest-quality garage door repair parts available. Looking for garage door panel replacement? Use Central Utah Door Service to find your local garage door expert for all of your garage door panel and section replacement needs. 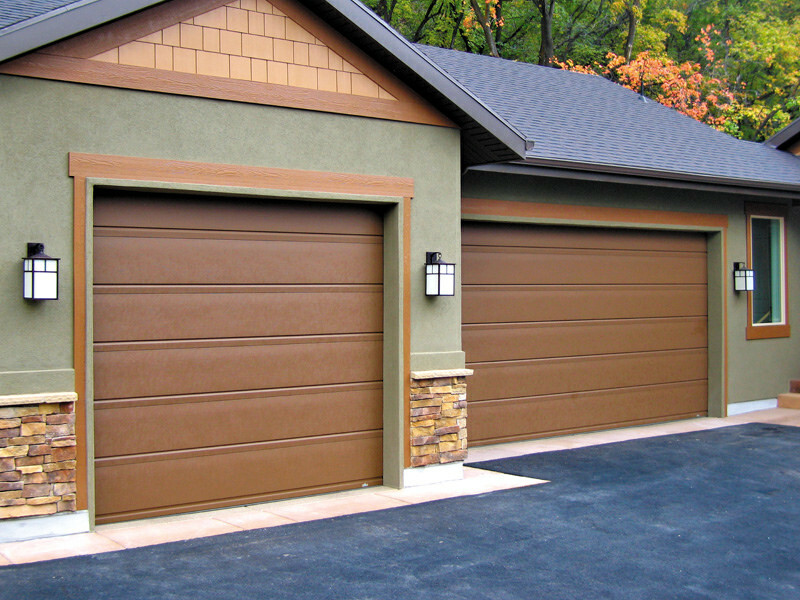 Over time, garage door panels take on normal wear and can begin to warp, crack, bend, or break. Damaged panels can lead to bigger problems with your garage door. If you continue to use a door with faulty sections, the door can become misaligned and that may cause additional damage to all sections and possibly lead to the replacement of the complete door. The next time you notice that a section of your garage door is broken, trust your repair to the industry leader, Central Utah Door Company. Our highly trained technicians will visit your home or business to evaluate the problem and recommend the best course of action. If replacement panels are required, we’ll work with you to find the best match to your current door. Damaged garage door panels often are more than a cosmetic issue and indicate greater structural problems that are occurring. It’s important to get a trained professional to look at your garage door to assess the damage and offer you the best solution going forward. Our friendly and knowledgeable team of garage door specialists has experience working with all types, makes, and models of garage doors. So whether you own a roll-up or sectional door, an Overhead Door, Clopay or Ammar product, we can assess and solve your garage door issues quickly, easily, and effectively. 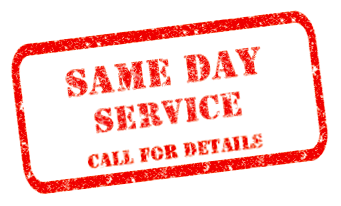 Call to schedule service today!